Warning: some spoilers for early Big Finish stories. It’s a problem that was neatly circumvented when, in 1999, Big Finish Productions acquired the license to produce new stories featuring old Doctors. Here, at last, we could have the Sixth Doctor walk through the door of a Tudor tavern without it wobbling behind him, the Seventh Doctor perform at a tremendously expensive intergalactic singing competition that wasn’t filmed in the car park at Elstree, and the Fifth Doctor wander through a jungle that didn’t have metal floors. You just need a few stock sound effects and leave the rest to the limitless budget of imagination. There are pitfalls, of course. Alien landscapes and iconic structures are easily rendered in the head of an attentive listener, but when you get down to depicting something overtly visual you have to rely on someone else telling you about it. It’s fine to have Charley exclaim “Doctor, it’s HUGE! What a magnificent erec-” before we discover that they’re staring down at the Crystal Palace, but when the moment comes to describe the less-than-obvious you have to fall back on the dialogue and hope it doesn’t sound like needless exposition. Sometimes it works; sometimes (“It is spreading from his fingers like the branches of a tree!” Leela exclaims to the Doctor halfway through Destination Nerva, as someone screws up a bag of crisps just behind the microphone) it just sounds like Legolas the elf – or Captain Obvious, as we call him round these parts. 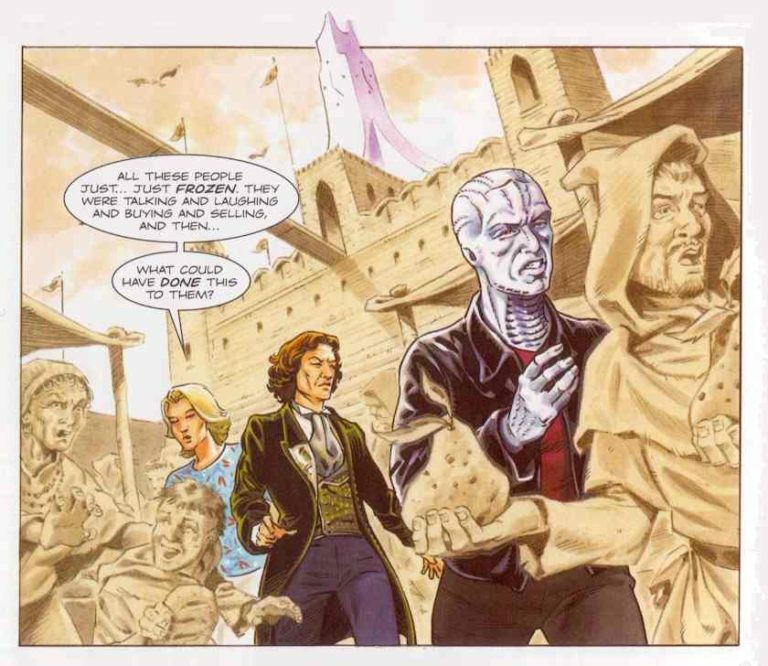 Martin Geraghty’s artwork from the comic preview of Time Works, as presented in DWM 367. Far more effective when rendered visually. Slips like these aside, we might argue that certain stories in the Big Finish canon not only work better unshackled from video – they actively demand it. Embrace The Darkness would translate poorly to the screen, given that several of its characters are temporarily blinded. And Scherzo is a curiosity: a tale that ostensibly lends itself to a minimal set (surely that circular test tube would be easy enough to visualise, even if you couldn’t avoid it looking like The Mind Robber) but which arguably works better as an audio drama, because the story itself is about sound. 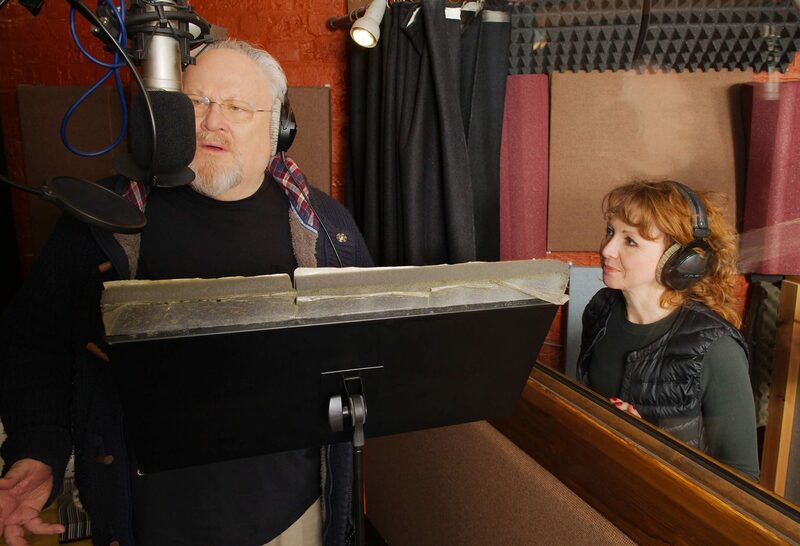 But there’s another aspect to spoken word drama that Big Finish have explored quite comprehensively, and that’s the idea of using the exclusively auditory environment as a tactical advantage. 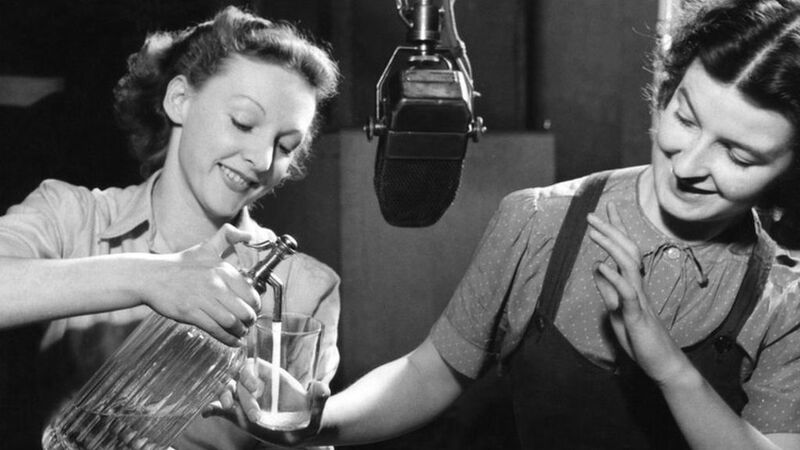 Put another way: listening to an audio recording is, in itself, a form of blindness, and can manipulate the listener just as much as it empowers them to find their own ways of visualising something. It’s far easier to withhold information when you don’t have to actually show it to anyone. Whispers of Terror, the third entry in Big Finish’s monthly release range, is one of the earliest examples. The story’s emphasis on aural recordings helps enormously (providing another example of one of those narratives that wouldn’t work nearly as well on television) but it’s the twist in the final reel that would establish much of what Big Finish did later on, when it is revealed that one of the characters has been spending half the story talking with a ghost. 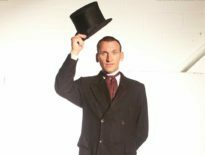 Said reveal is largely arbitrary to the plot and, as such, pleasantly understated, but it’s perhaps the first time we got the sense of the kind of direction the audio dramas had the potential to take – and the sort of thing that, upon a first listen, garners the response, “Oh, they couldn’t have done that on TV”. They could, of course. This sort of thing is comparatively easy to adapt, as both A Beautiful Mind and The Sixth Sense would prove / had already proven. Indeed, timing is sometimes a problem, as some of the later recordings demonstrated in abundance. The Natural History of Fear, for example, is a story in which the Doctor, Charley, and C’rizz are supposedly brainwashed by a malevolent dictator, in a dystopian Big Brother culture where questioning authority is a borderline capital offence (read: America, two years from now). Only at the end do we discover that the supposedly brainwashed Doctor is in fact an eight-limbed creature with the Doctor’s memories, and that everything that has supposedly happened recently actually happened a long time ago. 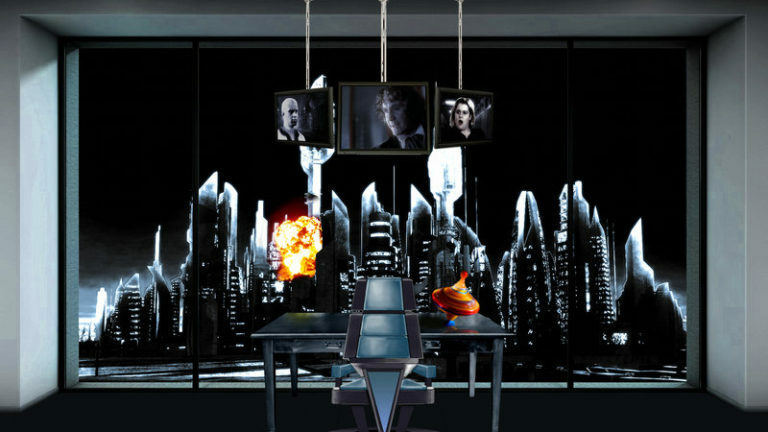 This wouldn’t be a problem had Big Finish not already done it. Because in Omega, released six months beforehand, we spend three episodes in the company of a man whom we are convinced is the Doctor, and who only at the end of Part Three does the real Doctor step out of his TARDIS. It’s a wonderful twist, and one that isn’t easy to spot, even if you’re familiar with Arc of Infinity. By the time the Divergent Universe explores the same subject matter, it feels tired, not to mention somewhat fraudulent. We may argue, indeed, that a twist that is known to everyone except the audience is not a twist, and may be filed under the same ‘withholding of information’ trope for which Moffat’s increasingly tired writing has become renowned. By way of illustration, Gareth cites The Philosopher’s Stone as a prime example of the sort of thing that annoys him. “As I recall,” he says, “there’s a logic puzzle in the first Harry Potter book involving a row of potions, with a cryptic riddle about which to take. When I first read it, I naturally paused to solve it. However, it had two possible solutions. Shortly afterwards, Hermione made some comment based on what she could see, namely the size or colour of one of the bottles. This then gave a unique solution – but it was very unsatisfying.” When it’s a minor plot point, this sort of thing is forgivable: when the entire story hinges upon it, it’s difficult not to feel robbed. Still, the unreliable narrator trope is alive and kicking in a post-modern, post-fact age, and even though its implementation is easier in an audio drama it’s curious that the TV version of Doctor Who has never done it – at least to any great extent. It was territory explored by the cast of Star Trek: Voyager comparatively late in its run (Oblivion, Series 5), in an episode that was basically an excuse to seemingly kill as many characters as possible with no lasting after effects (something that Doctor Who has never done before, ever). But the closest Who got to mining this particular resource in recent years was Series 6, most notably with the Teselecta Doctor picnicking by Lake Silencio with (essentially) his family – and even then it’s apparent that the real Doctor is still present, delivering his lines through an intercom and presumably retaining all control over the Teselecta’s inexplicably articulate perambulation (if that sounds a little harsh, go back and watch Let’s Kill Hitler, and then The Impossible Astronaut, and tell me how we’re honestly expected to believe that this is the same robot). And duplicity is a theme that’s revisited earlier / later in the series, when the Flesh Doctor swaps places with his double in The Almost People in order to expose Amy’s prejudice. But these are exceptions. The Doctor’s plans may be hidden, but he himself is always to be relied upon. Not that they didn’t have the opportunity to subvert this. I am still waiting for an episode in which the Doctor we’ve been watching for 35 minutes crumbles into sleep dust when the real Doctor waves his screwdriver. This is by no means a unique idea. I spoke the other week to someone who would have dearly loved Series 1 to have concluded with the revelation that we had been watching the Master at work, rather than the Doctor, only discovering this when David Tennant stepped out of his TARDIS. This is either a brilliantly subversive twist or extreme headcanon. You pick. 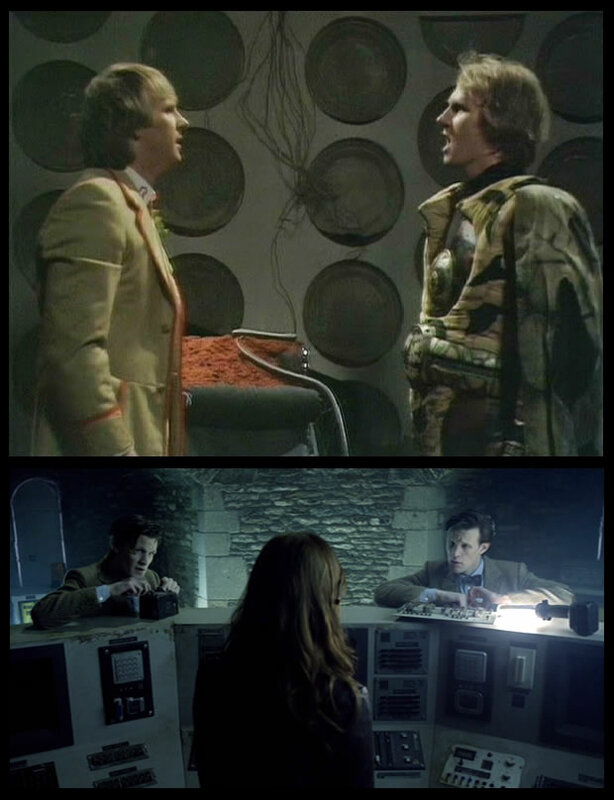 Far better, instead, to concentrate on the time a given companion was with the Doctor and try and ignore the inevitable deepening of their voice. How successful this is depends entirely on the actor: some (Turlough, Zoe, Vicki) sound just like they used to, some sound a little strained (Ian, Jo) and some (Victoria) are almost unrecognisable. As for Doctors themselves, it is perhaps inevitable that McCoy and McGann, having aged the least, still sound most like they did back when we tuned in on a Wednesday / Friday / whenever Coronation Street was on. Otherwise the suspension of disbelief is overclocked, as you imagine the rich, throaty tones of Davison accompanied not by the middle-aged authoritarian traversing the corridors of CPS London, but as the boyish hero running down the corridors of Androzani Minor, the celery flapping in his lapel. There’s probably a filter you can use that will lift the edge off, but it’s perhaps unsurprising that it’s something Big Finish don’t appear to have explored. It feels like cheating. 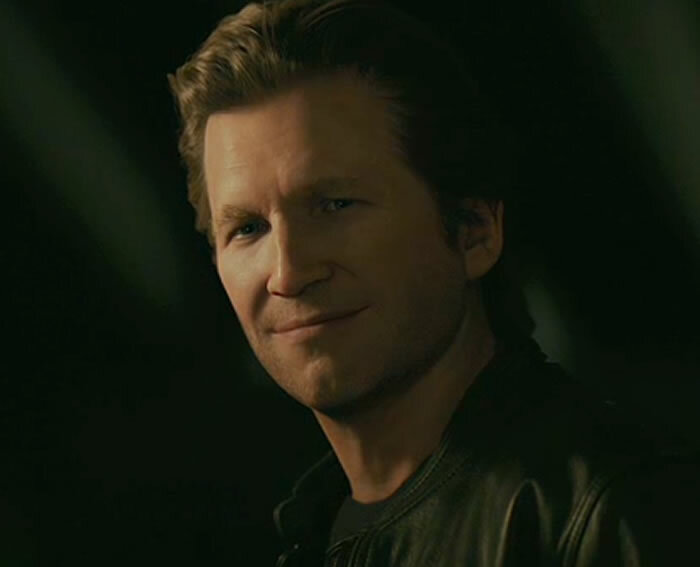 It feels like the technology they used in Tron 2 to digitally de-age Jeff Bridges – it looks like bad botox, Bridges’ skin unnaturally stretched to cracking point (“Moisturise me!”). The contrast between the two is most apparent when you see them together – although the lighting is sufficiently moody that Disney just about get away with it. Fast forward to 2016 and CGI has advanced to the point where the new Star Wars film (spoiler alert for Rogue One) can create a credible Princess Leia, but that just caused a whole new set of problems about respect or lack thereof, and in a way it’s a good thing that the BBC are never going to have the money to actually do anything like this themselves. The uncanny valley is long and treacherous, and beset with crazed fan bandits (fandits?) lurking in the undergrowth, ready to bludgeon you with plastic lightsabers. It’s better, at least, than the fans who believe that Doctor Who doesn’t work at all when it’s consigned to a recording studio (one of them is quite famous, but also prone to angry outbursts on Twitter, so we will not name him here). 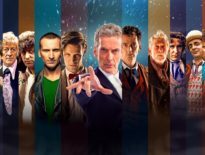 Big Finish’s output is only as good as that of its writers – leading to some occasionally questionable content over the years (I think we’d all rather forget The Creed of the Kromon) – but the fact that they’ve been doing this for nearly two decades with no signs of slowing up is testament to the success of the format. Doctor Who, it seems, is perfectly suited for audio – provided you know the best ways to do it.